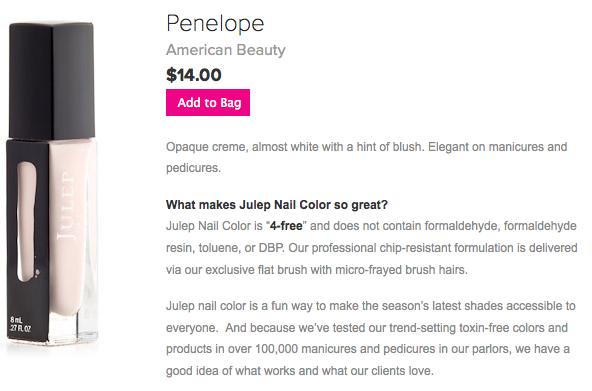 JULEP nail polish in Alicia and Penelope! Alicia is peachy coral shade, very vibrant great shade for this coming hot summer! 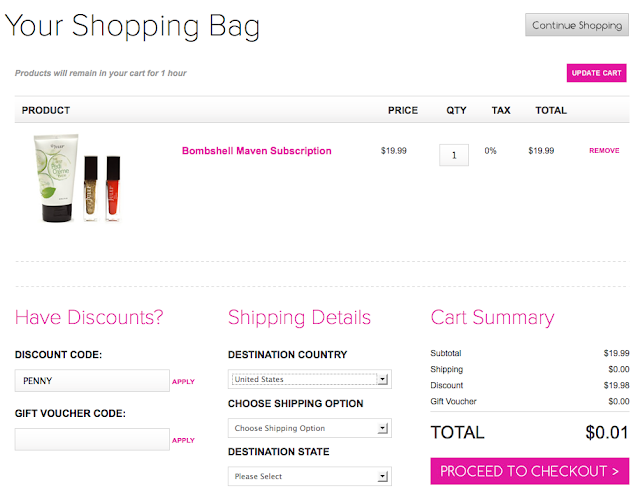 If you are new to Julep, you can subscribe to Julep maven box for only 1 cent! you can cancel anytime if you are not happy with your subscription. What is Julep Maven box? Go HERE to get your Maven Box! GORGEOUS colours on you Eki-chan! New follower here. Love your nails and ur blog! I love Japan! it'll be great if u can check out mine and follow back thanks ! Both those colors look lovely! I just went for it with your referral link! Hope it's as good as you say! Those colors look really cute! Thanks for sharing this deal! Hi! Very good your blog! I loved, I'm following Help me following and commenting? Hi! I just have a quick question. What camera are you using and how do you like it? I want to buy a new professional camera and it's my first time so I've been researching a such, but since it is my first time buying it I want to make sure it's useful. For the pictures that you take, did you edit them or it comes out very nice like that? Well sorry for all these questions, but thank you so much for your help! 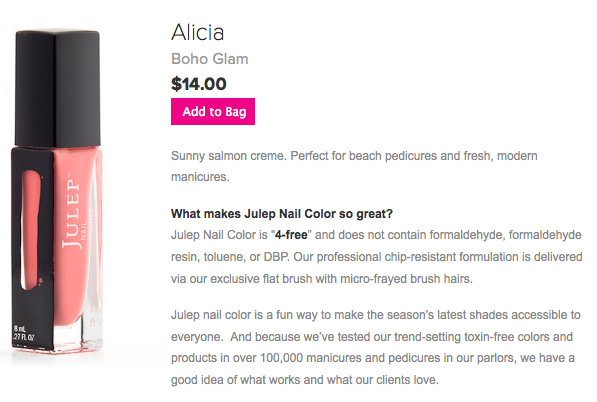 Eki, I tried the Julep when you shared the penny link before and they have such good boxes. I had a slight issue with a lost package and their customer service was amazingly good, they just sent me another one. I haven't tried these colors yet but I got "Rose" which is a really nice watermelon color for summer. I enjoy the peachy pink shades you sampled and now I am going to have a hard time not adding them to my cart, w.
These look very pretty and such a great deal for a penny too! Absolutely adore the colours! Looks very full and rich too!